In the foreground, two fans from opposing sides cheer on their teams. 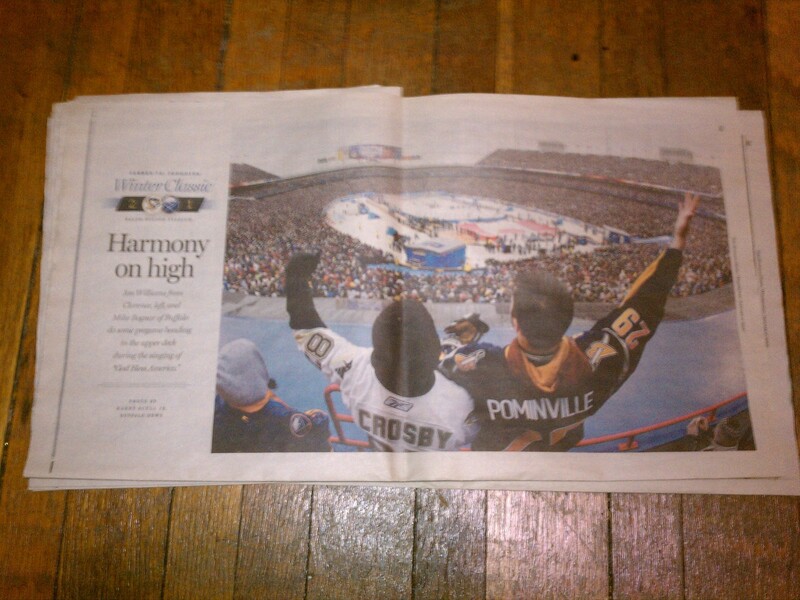 This is the Buffalo News paper from January 2, 2008. Ralph Wilson Stadium in Buffalo, NY (the home of the Buffalo Bills NFL team) was outfitted with a hockey rink. 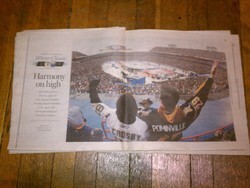 It was the first regular-season outdoor professional ice hockey game to be played in the United States. The game set an NHL attendance record of 71,217.